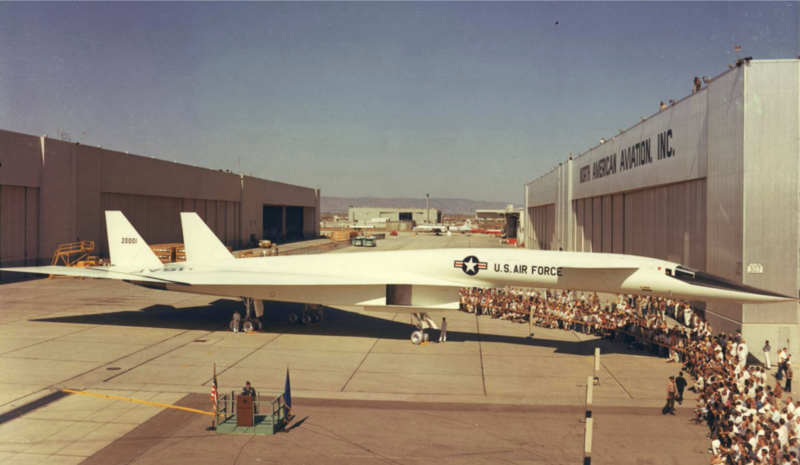 11 May 1964: At Air Force Plant 42 near Palmdale, a small city in the high desert of southern California, the first prototype North American Aviation XB-70A-1-NA Valkyrie, 62-0001, was rolled out. More than 5,000 people were there to watch. 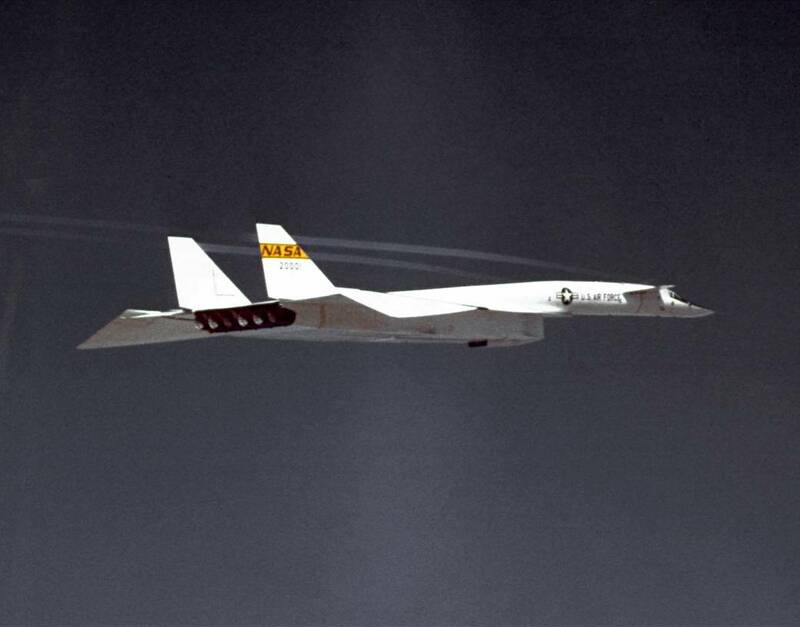 In August 1960, the U.S. Air Force had contracted for one XB-70 prototype and 11 pre-production YB-70 development aircraft. By 1964, however, the program had been scaled back to two XB-70As and one XB-70B. Only two were actually completed. 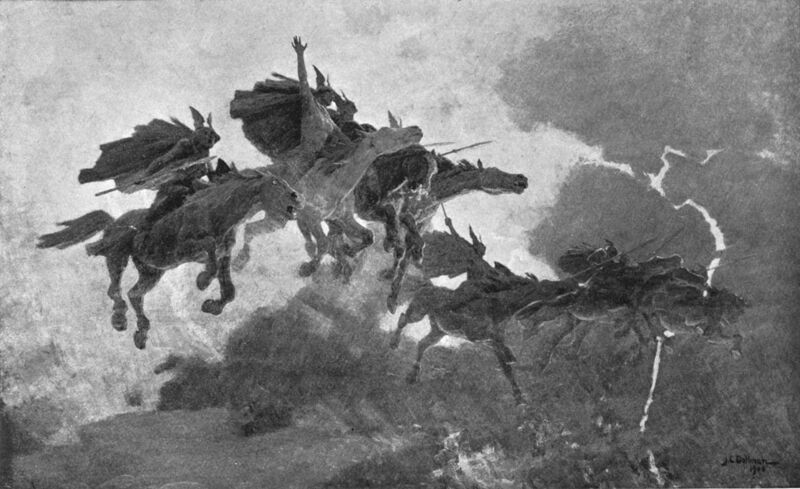 “Ride of the Valkyrs” by John Charles Dollman, 1909. In Norse mythology, the valkyries were immortal female figures who chose who among those who had died in battle were worthy of being taken to Valhalla. The B-70 was designed as a Mach 3+ strategic bomber capable of flying higher than 70,000 feet (21,336 meters). Like its contemporaries, the Lockheed Blackbirds, the Valkerie was so advanced that it was beyond the state of the art. New materials and processes had to be developed, and new industrial machinery designed and built. The XB-70A is a very large aircraft with a canard-delta configuration, built primarily of stainless steel and titanium. It has twin vertical fins combining the functions of stabilizers and rudders. The XB-70A Valkyrie prototype is 193 feet, 5 inches (58.953 meters) long, including the pitot boom, with a wingspan of 105 feet, 0 inches (32.004 meters) and overall height of 30 feet, 9 inches (9.373 meters). The canard span is 28 feet, 10 inches (8.788 meters). The canard has flaps, while the delta wing used multiple separate elevons for pitch and roll control. The delta wing has an angle of incidence of 0° and its leading edges are swept to 65.57°, with 0° sweep at the trailing edge. The wings have a maximum of 2.60° negative twist at the tips. The wings of 62-001 have no dihedral, but the second B-70, 62-0207, had 5° dihedral. The total wing area is 6,297.8 square feet (585.1 square meters). The canard also has 0° of incidence and dihedral. Its leading edge is swept aft 31.70°, while the trailing edge sweeps forward 14.91°. The canard has a total area of 415.59 square feet (38.61 square meters). The flaps can be lowered to 20°. The vertical fins have a height of 15 feet (4.572 meters). The leading edges are swept 51.77° and the trailing edges, 10.89°. The B-70 was designed to “surf” on its own supersonic shock wave (this was called “compression lift.”). The tips of the delta wing folded down as much as 65° for increased stability. The first prototype, 62-001, had an empty weight of 250,817 pounds (113,769 kilograms) in July 1964. Its maximum taxi weight was 542,029 pounds (242,526 kilograms). 62-0207 had an empty weight of 253,601 pounds (115,031 kilograms) when calculated 28 May 1965, before its first flight. It had the same maximum taxi weight as -001. 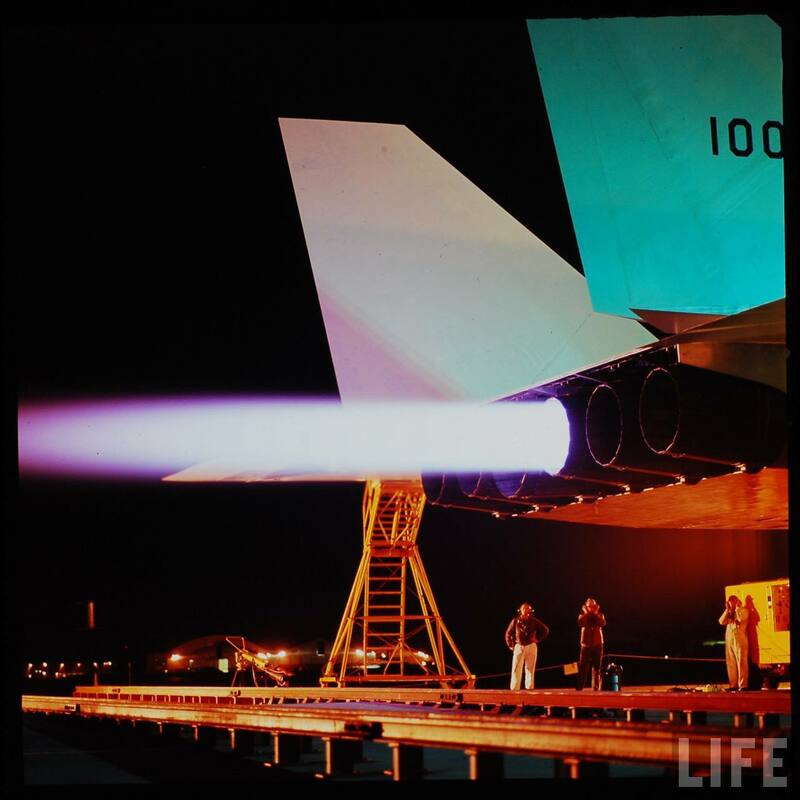 The XB-70A is powered by six General Electric YJ93-GE-3 engines, grouped together in the tail. These are single-spool, axial-flow, afterburning turbojet engines, which have an 11-stage compressor section and 2-stage turbine. 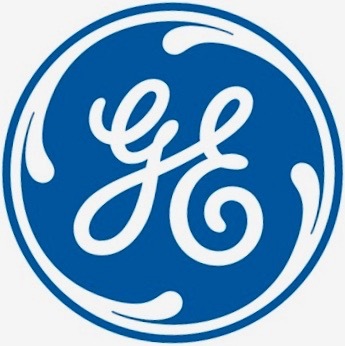 The YJ93-GE-3 is rated at 22,000 pounds of thrust (97.86 kilonewtons), and 31,000 pounds (137.90 kilonewtons) with afterburner. A special high-temperature fuel, JP-6, is required. The engine is 19 feet, 7.0 inches (5.969 meters) long, 4 feet, 7.0 inches (1.397 meters) in diameter, and weighs 5,200 pounds (2,359 kilograms). In flight testing, the XB-70A reached a maximum of Mach 3.08 and 2,020 m.p.h. (3,251 kilometers per hour) with a sustained altitude of 74,000 feet (22,555 meters). Fuel capacity was 46,745 gallons (176,950 liters), giving the bomber a potential range of 4,288 miles (6,901 kilometers). The B-70 was designed to carry two B-53 two-stage radiation-implosion thermonuclear bombs in its internal bomb bay. A maximum of fourteen smaller weapons could be carried. 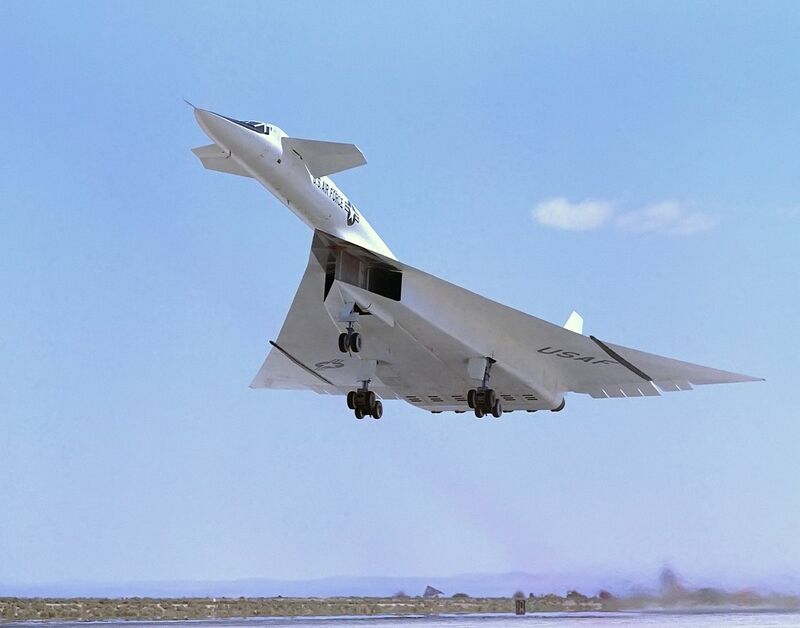 XB-70A-1 62-0001 first flew 21 September 1964, and exceeded Mach 3 for the first time on its 17th flight, 14 October 1965. Its final flight was 4 February 1969. The second XB-70A-2-NA , 62-0207, was destroyed in a midair collision. The third Valkyrie, XB-70B-NA 62-0208, was cancelled before completion. 62-0001 is in the collection of the National Museum of the United States Air Force. It has made 83 flights with just 160 hours, 16 minutes, total flight time. Picture in your mind a rectangular tunnel, 300 feet high, a quarter of a mile wide, and extending 20 miles long through the air at an altitude of 35,000 feet. I had to fly through that tunnel at top speed without touching a side. There were no walls to see but radar and ground instruments let me know my mistakes immediately. Up there at 35,000 feet the temperature would be about 45 degrees below zero. Not pleasant but perfect for what I was doing. Inside the plane you are hot because of the friction of speeding through the air like that. The cockpit was air-conditioned, but when you descend, things happen so fast the plane’s air-cooling system can’t keep up with it. I was always hot and perspiring back on the ground. 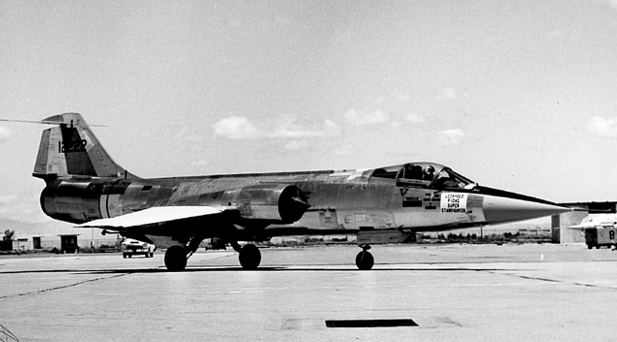 Cochran set three speed records with this F-104G in May and June 1964. Under the Military Assistance Program, the U.S. Air Force transferred it to the Republic of China Air Force, where it was assigned number 4322. It crashed 17 July 1981. The record-setting Lockheed F-104G Starfighter, USAF serial number 62-12222, in service with the Republic of China Air Force as 4322. 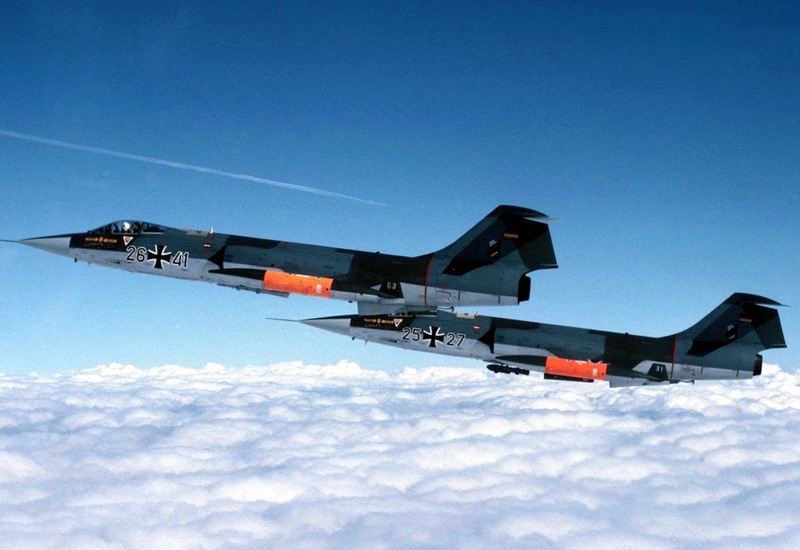 The F-104G was the final production version of the Lockheed Starfighter. Rather than an interceptor, the G-model was a fighter bomber, with a strengthened fuselage and wings, and hardpoints for carrying bombs and additional fuel tanks. Built by Lockheed, they were also licensed for production by Canadair, Dornier, Fiat, Fokker, Messerschmitt and SABCA. The F-104G was a single-seat, single engine fighter bomber, 54 feet 8 inches (16.662 meters) long with a wingspan of just 21 feet, 9 inches (6.629 meters) and overall height of 13 feet, 6 inches (4.115 meters). The empty weight is 14,000 pounds (6,350.3 kilograms) and loaded weight is 20,640 pounds (9,362.2 kilograms). 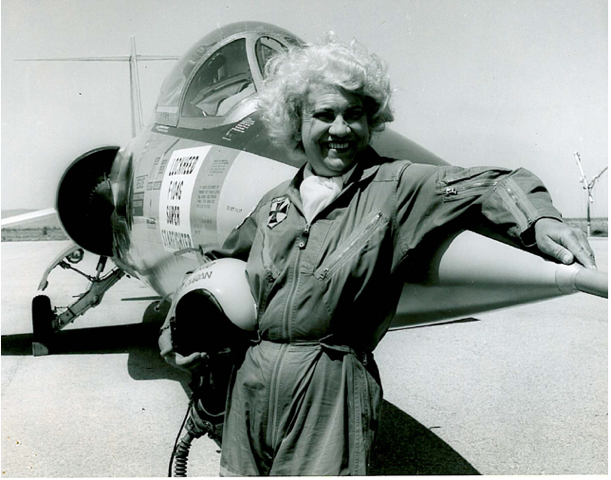 The F-104G was powered by a General Electric J79-GE-11A engine, a single-spool, axial-flow, afterburning turbojet, which used a 17-stage compressor section and 3-stage turbine. The J79-GE-11A is rated at 10,000 pounds of thrust (44.48 kilonewtons), and 15,800 pounds (70.28 kilonewtons) with afterburner. The engine is 17 feet, 4.0 inches (5.283 meters) long, 3 feet, 2.3 inches (0.973 meters) in diameter, and weighed 3,560 pounds (1,615 kilograms). The maximum speed is 1,328 miles per hour (2,137.2 kilometers per hour). It has a combat radius of 420 miles (675.9 kilometers) or a ferry range of 1,630 miles (2,623.2 kilometers) The service ceiling is 50,000 feet (15,240 meters). 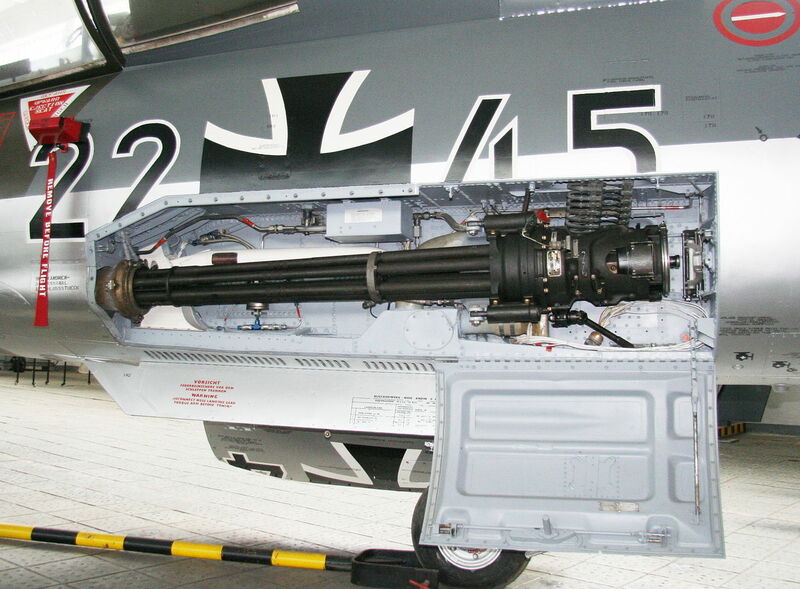 Armament consists of a 20 mm General Electric M61A1 Vulcan six-barreled Gatling gun, with 725 rounds of ammunition. Up to four AIM-9 Sidewinder air-to-air heat seeking missiles can be carried on the wingtips or under wing pylons. In place of missiles, two wingtip fuel tanks and another two under wing tanks could be carried. On NATO alert, the F-104G was armed with a B43 variable-yield nuclear bomb mounted on the fuselage centerline hardpoint. The B43 could be set for explosive force between 170 kilotons and 1 megaton. 11 May 1927: At 8:20 a.m., Central time, Charles A. Lindbergh and the Spirit of St. Louis touched down at Lambert Field, St. Louis, Missouri, and taxied to the National Guard hangars where he shut down the Wright J-5C Whirlwind engine. The overnight flight from Rockwell Field on North Island, San Diego, California, took 14 hours, 25 minutes, a new speed record. 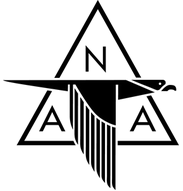 It is just eighty days since Lindbergh left St. Louis by train to meet with Ryan Airlines Company to discuss designing and building an airplane that would become the Ryan NYP, N-X-211, the Spirit of St. Louis. 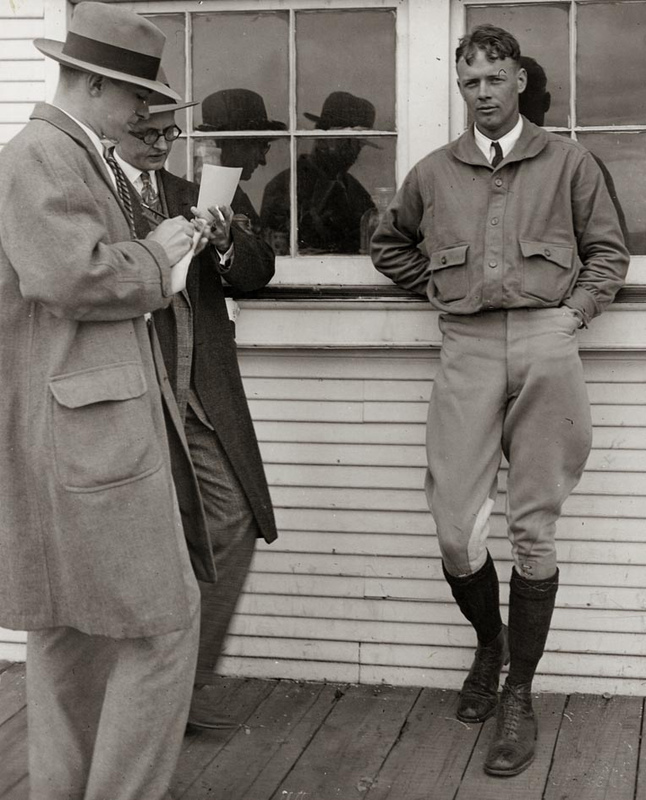 Though the members of the syndicate that is funding his New York-to-Paris flight have planned celebrations, Lindbergh is anxious to continue on to New York City. 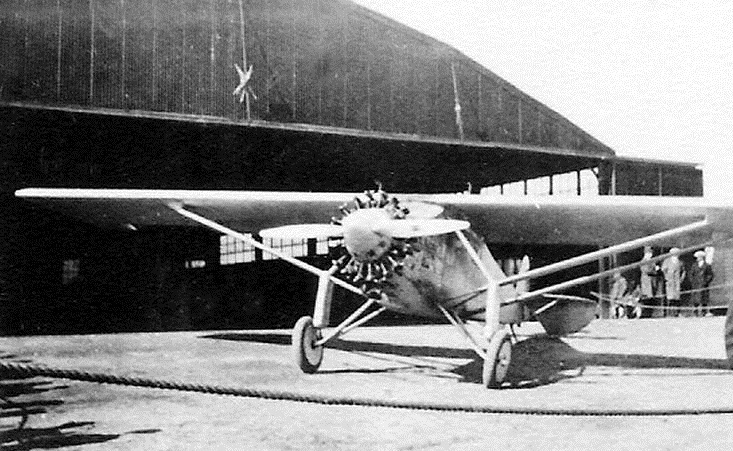 Ryan NYP N-X-211, Spirit of St. Louis, Lambert Field, 11 May 1927.